Its Game Time. Suit up with Dan330 and these tailgating recipes. Welcome to the Dan330.com tailgating recipe page. The big game is about to come on. The NFL robot logo thing is dancing on your screen. Friends have their favorite jerseys on, foam fingers wagging in the air with streaking paint across their faces. If there was ever a time for you to hit a last-second 60-yard field goal with your tailgating recipes, it is now. So head-coach-of-finger-licking goodness, who are you going to start?! The Cheeseballs? 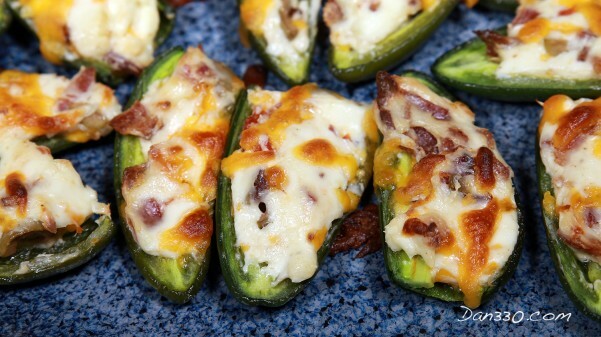 or the Jalapeno poppers!? Don’t forget to stay up to date with us on Facebook, YouTube. We share our new tailgating recipes every time we add one. If you want to get behind the scenes with us, join us on Periscope! Here’s what we want you to do. Bookmark this page. Share it on your favorite social media and impress your friends with your newly discovered culinary excellence. Below, we have two sections. On the left is our all-time favorite tailgating recipes. On the right is our very popular series from our weekly tailgating post updates. This tailgating recipe page is part of our larger food section. You may also be interested in these pages too: S’mores, Manly Food, Crock Pots, Healthy Crock Pot and Chicken Crock Pot Recipes, Blueberry Recipes, Comfort Food, Drinks, Fall Recipes, Fresh From The Garden, and more. 2015 Week 17 Best Tailgating Recipes.